What an amazing Gingerbread House creation this is. Russia’s St. Basil’s Cathedral made from Gingerbread. 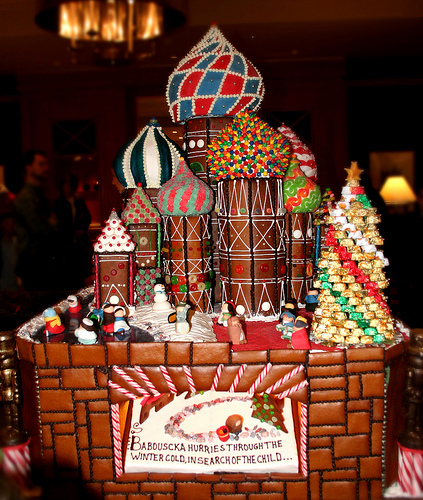 This Gingerbread House would certainly please any Babouschka! Merry Christmas, from Russia with LOVE! !